Are you wondering why anybody would ever need the best meat smoker thermometer? If you must know, it is really hard to produce the best barbecue without a perfect meat smoker thermometer. As a matter of fact, we are talking about a blind man trying to drive on a busy highway in New York. The driver will not make an inch before the vehicle rams into the sidewalk. What Is A Meat Smoker Thermometer? Centers for Disease Control and Prevention (CDC), says that in 2011, close to 3,000 Americans died from foodborne related illness. More than 128k were admitted in various health facilities. What shocks even more is that a bigger number of these fatalities and those admitted were minors. 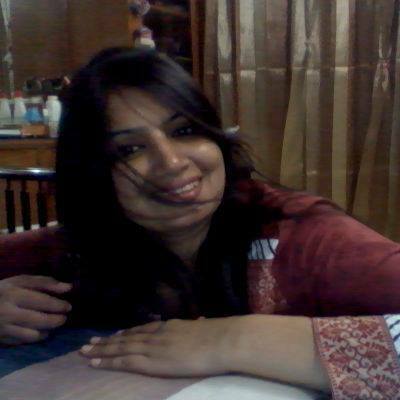 The organization observed that the number was likely to escalate if necessary measures could not be taken. Is there any change since then? Hardly! People continue to complain of stomach complications. Most of those who report to various hospitals are diagnosed with food poison. Some agree that they were not sure if the food they ate was well cooked or not. It is with these agonizing facts that I sought to delve into the need to have the ideal kitchen tool. If you belong to a family that enjoys meat steaks, roasts, and grills, you need to grab a chair. This article will look into all the things you need to know about this kitchen tool, a meat smoker thermometer. To start with, I will introduce you to what the tool is. That will open the way to learning other facts about the meat smoker thermometer. Types of meat smoker thermometers. How does a meat smoker thermometer work? 7 Best Meat Smoker Thermometers. What things to consider before buying a meat smoker thermometer. Assuming you know what a typical thermometer is, knowing what a meat smoker thermometer won’t be a problem. With this in mind, a meat smoker thermometer or simply a food thermometer is a kitchen tool. This thermometer can be used in your kitchen (home use) or in industries (commercial purposes). The maim work of a meat smoker thermometer is to measure the temperature of meat when it is cooking. As said at the beginning, it is very difficult to ensure some foods cook properly. Meat steaks, grills, and roasts are a few examples. To ensure these delicacies cook to desired levels, you need to use a meat smoker thermometer. 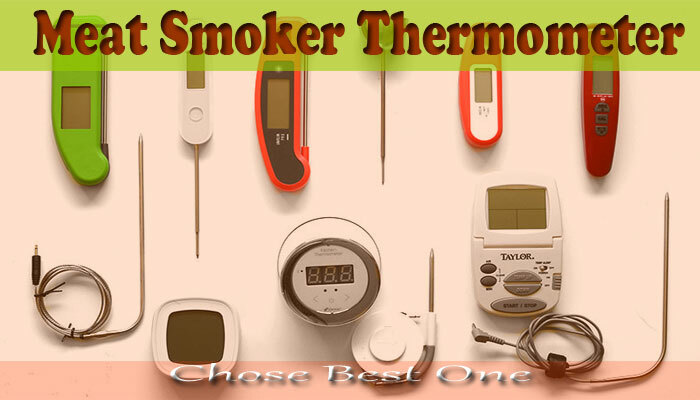 While many kitchen appliances come in different types, smoker thermometers are different. Although there may be different types, today, you will only find two distinctive models of meat thermometers. As the word suggests, a single probe meat thermometer does not offer many readings. It is referred to a single probe because; it will only show the temperature on a small section. To get the exact internal meat temperature of 5 pounds of meat for instance, you need to do more work. You will need to insert the thermometer into several different places. These seemingly expensive meat temperature probe gadgets are faster. They offer more accurate temperature readings. Besides, they can offer readings on bigger sizes of meat. When using a multi-probe meat temperature thermometer, you do not need to struggle. This gadget can combine 2-8 temperature investigations at a go. A single probe thermometer is cheap. On the other hand, a multi-probe thermometer is expensive. Multi probe thermometers are fast and offer accurate readings. Single probe thermometers are slow. You need to insert the thermometer into different sections to get the correct readings. Compiling the reading to get the aggregate internal meat temperature is a hell. Single probe thermometers work better for small portions of meat. Multi probe gadgets can monitor temperatures of large quantities of steaks, grills, and roasts. According to Consumer Reports, a best meat smoker thermometer will not cost you much. Yes, it is one of the most affordable kitchen appliances. But the benefits overwhelming. Nonetheless, you need to understand how this gadget works for you to embrace the benefits. Therefore, the question is, how does a smoker thermometer work? Let’s start here: the origin of the words ‘thermo’ and ‘meter’. The Greek word ‘thermo’ refers to heat while the English word ‘meter’ means to measure. With this in mind, now you know we are talking of a way to measure the heat or temperature of meat. The thermometer has a reader, a screen that displays the temperature. Besides, it has a sensor. The latter is an in-built tool that tells different heat rates of the meat. Once you place or point the meat thermometer to a section of the meat, the sensor detects the heat. It then transfers the readings to the digital or analog screen. The screen presents readings thus you are able to know if the meat is ready for the table. Remember the inner part of the meat is the most important part that needs a smoker thermometer. Therefore, you need to ensure the gadget you will buy can sense the heat inside the steak. There are basically two metals inside a meat thermometer. These two metals are similar but each responds differently to heat. One of the metals expands and contracts faster with the change of heat. The other metal is rigid. For it to expand and contract, it must hit higher levels of heat. Depending on the meat temperature, the two metal rods can bend, twist, or even erect. This triggers the dial, leading to the transfer of the readings to the screen. Note: if the amount of heat in the meat is insufficient, the rod expands. The rod hits the dial, which in turn winds down. You need to know how to read what the thermometer displays. Otherwise, you will eat raw steaks. It is easy to read and mount. It also has a stainless housing that makes it durable. It does not have a fog glass lens that hastens your readings. The thermometer is very accurate (+/-10F). Besides, it is easy to install and only needs a 3/8 hole to insert it in. 2” (1 Pack) BBQ Grill Smoker Pit Thermometer SS Thermostat Pit Temp Gauge , 2.5” stem , ¼” NPT. The case is made of stainless steel. This makes it durable, reliable and environmentally friendly.. Very accurate readings and does not need any fog glass lens. Easy to install on your grill. The stainless housing makes it durable. The design is such that you need to push down into the probe to get enough leverage to adjust the screw. Adding pressure to get the screw turn can bend the housing and cause the temperature to fluctuate more. The new BBQ thermometer is one of the most modern gadgets any kitchen should have. This powerful gadget has a timer, probe, temperature gauge and alert. It ranges to a distance of 300 miles away. This makes it easier to monitor oven temperatures for different types of meat at the same time. BBQ thermometer comes with a one-year warranty. One can still receive an extension of 3 years warranty upon purchase. If in any case the bought probe experiences temperature problems, one is liable to a brand new one at no cost. It has 9 types of meat settings that can be adjusted according to the meat type. This is a requirement by USDA. According to the type of meat set, the cooking temperature can be reprogrammed for suitability. It also has a count up and countdown setting. This specifically times the cooking period. Once it has reached the preset temperature the receiver automatically beeps hence the LCD backlight turns on. This also serves as an indication of a completed task, once the targeted temperature has been achieved. Doesn’t require any synchronization or installations. BBQ thermometer grills meat accurately, whilst one still has time to do other stuff, so one can multi-task. With 9 different tastes you can prepare pork, beef, mutton fish or even poultry. Comes with different cooking levels thus suits different people. It’s very easy to operate the gadget. You simply adjust the type of meat and its doneness, then insertion of temperature. Once all these are, done you can just relax and wait for the set time. It saves time and energy, and makes BBQ parties stress-free. The transmitter part that is supposed to be plugged on has no rubberized protection just in case it falls down. Since the transmitter uses batteries, it is very difficult to get the original ones to replace them once depleted. Dozyant Temperature Gauge Thermometer is a perfect grilling appliance to posses. It has a large face temperature gauge that allows you to easily classify the temperature of your food. A large face of the temp gauge 2 3/8” allows you to read the temperature of the food you are cooking. The stem is 2 7/8”. Case is made of stainless steel, which is safe and environmentally friendly. Also makes it reliable and long lasting. Easy installation process on grill and oven panel. This permits you to use it conveniently. The surface is waterproof and does not get misty due to heat. You can therefore read temperature any time. Safe to use since it is made of stainless steel. It also lasts long and does not cause pollution to the environment. Large face allows you to take readings easily. This helps you gauge the temperature of your food. Less complicated and therefore very easy to install and use. You will require little time to set it for use. Does not form fog due to heat. You, therefore, can take your readings easily and accurately. If used inappropriate it can display inaccurate readings. You must use the thermometer as directed. It forms fog appearance if left out in the rain. You may not be able to record accurate readings. Instructions on calibration are complicated. Due to this, the adjustment of temperature is difficult. Dozyant 3 ⅛” Larger Face 550F is a well-rated meat smoker thermometer. It is easy to install on your grill, virtually captivating and made out of stainless steel. The case is well built out of stainless steel that guarantees you durability and reliability. The readings on the face ranges between 100 to 500 degrees Fahrenheit with highest level of accuracy. Has 3 1/8” BBQ Grill smoker thermometer thermostat pit Temp Gauge, 3” stem, ½” NPT. It is easy to use and install on grill hence little or no time waste. The stainless steel casing makes it last longer, safe and environmentally friendly. Fitted with no fog glass lenses. This allows you to take the readings easily. The temperature color zones are useful. They allow the user to see where the temperatures range at a glance. Condensation can occur on the thermometer if it is used inappropriately. This would cause difficulties in taking the readings. Hole-size required to install the thermometer in the smoker is larger than specifications. You may be required to drill in order to get the correct fitting. Requires double-checking and calibration of temperatures after purchase. Otherwise, the readings can be inaccurate. Vexen EN 2050 is one of the best barbecue meat thermometers we have. The reason why it stands out is that you can monitor your grill ambient or the meat you are cooking, as you get busy with other things. The wireless digital meat thermometer has two dual probe monitors whereby it gives you a benefit of leaving it up to 230 feet away as you concentrate on other activities. It has a grill thermometer with preset temperatures settings for eight varieties of meat namely, Beef, Lamb, Veal, Hamburger, Pork, Turkey, Chicken, and Fish. You also have an advantage of customizing the temperatures and timers to your preference. It also has a hassle-free interface and setup. The manufacturing plant is responsible for synchronization. You can set the temperatures manually. It has a backlight auto off after 10 seconds without any operation. It has a belt clip/stand-hands-free design. Probe wires are at 716 degrees, and the waterproof standard is at IPX7. It has independent alarms for the two probes. It is flexible in colder and hotter ranges. Having the remove wireless feature is fantastic. After using this thermometer for a long time, it can give inaccurate readings. NEWSTART BBQ Thermometer is one of the best Thermometer one can acquire and is highly commendable. It consists of stainless steel, so you are sure of your safety. It is also environmental friendly. Having the ability to be used in measuring temperature and control not only in barbecue but also in the machine, chemical industry, light-textile industry, and medical industry makes it the best fit. It consists of stainless steel. It has 2-count 2” dial for reading the temperatures easily. It also has two long 304 stainless housing. The surface of the grill is waterproof and will not get foggy. The thermometer is perfect in BBQ/grill/meat, and control in the machine, chemical industry, light-textile industry, and in the medical industry. The 3” long probe rod is best for accurate temperature readings. It is suitable for adding or replacing a gauge in your grill or smoker. Comes with a screw thread and wing nut for easy mounting. It is effortless to install and use. It has an extra-long probe rod for accurate temperature readings. The Red, White, and Blue background helps you to ensure that the temperatures are proper even from a distance. The thermometer was not accurate enough. GasSaf charcoal smoker thermometer is one of the best thermometers with 3 1/8” face 550F BBQ. It has easy to read temperatures, and this gives an assurance that anyone can access it. It is suitable because you can also use it on boiling or in frozen food items. It has a 3 1/8 inch large face BBQ grill smoker pit thermometer stainless steel thermal stat pit temp gauge. It has easy to read temperatures. It has a 3”stem heat indicator, ½”NPT. It has wide temperature ranges. Fahrenheit is as from 100F to 500F/ 37.78 to 287.78degrees. Having the three-coded dial makes it possible to show the exact temperature. The body is made up of 304 stainless steel for maximum durability and reliability. It is a good aider for cooking temperature and time control, measurable boiling or frozen food items. You’ll need to insert the stem through a 7/8 hole on your grill-smoker-pit and attach, installation is straightforward. It is easy to see color-coded ranges for the best grilling and smoking. The thermometer is safe and environment-friendly. It can show inaccurate readings. What next after seeing what each thermometer has? Is that all? This following part is critical. As it were, you need to look at many things before you buy something. This is a fact whether you are purchasing the gadget online or from a brick and mortar shop. You do not want to spend your money on a gadget that you are not going to use. Are you? If a meat thermometer has complicated readings, some of which require extra conversations, it is not suitable. You need a thermometer that is easy, simple, and displays digits that you can understand. Many people who have gone for complicated gadgets have found out that they wasted their money. A good thermometer should be easy to operate. That is whether the thermometer has an LCD, small or large screen display, and other features. Yes! The best meat smoker thermometer is waterproof. Remember why you need a meat thermometer. The aim is to measure the internal heat of meat while it is cooking. To ensure you eat well-cooked meat, sometimes you will be forced to insert the thermometer into the meat. If by any chance the thermometer is not waterproof, moist, or even water inside the meat will definitely spoil the machine. With a waterproof meat thermometer you can insert it, to the deepest part of the meat if need be, without fear. Studies show that waterproof meat thermometers last longer than their counterparts that are not. Are timers and alarms important in measuring meat temperature? This is debatable. But I find it important. Most modern meat thermometers have an alarm. With an alarm, you do not need to be so close to the meat. Digital meat thermometers can work from a distance. An alarm will alert you when you are not in the right range thus indicating bad readings. In case a signal is lost, the alarm will alert you. This nice feature helps you not to get unnecessarily closer to the meat rack, which might have scorching heat. Battery compartment details (others need a screwdriver to open cage). Do you still remember the CDC and Consumer Reports findings? I’m sure you haven’t forgotten and I do not want you to forget. You can save your family a lot of money and the agony of visiting a doctor each time they have a stomachache. The ideal way, for now, is to grab the best meat smoker thermometer.